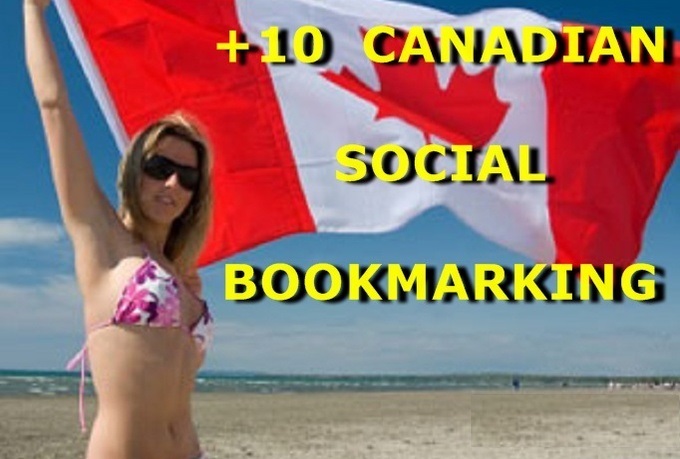 Top quality Canada/.CA Social Bookmarking service for Canadian language websites, blogs. We do 100% manual link building using only quality, SEO friendly Canadian Social bookmarking sites. We provide you 100% transparent report: submitted list, live links, free description spin. Bonus Submit: +10 Canadian Web directory submission.